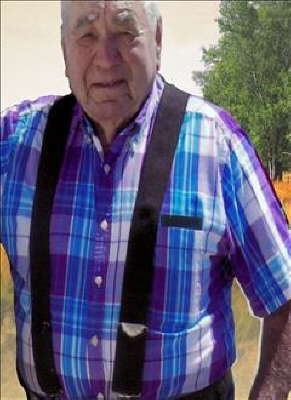 Jimmie "Jim" Chapman, 84, resident of Mangum, passed away on February 10, 2019 at Grace Living Center in Mangum. Jim was born to Sanford and Lena (Luttrell) Chapman on April 9, 1934 in Greer County. He graduated from City View School and attended one year of college before being drafted into the Army, where he served for two years. Jim married the love of his life, Ramona (Wilhite) on June 18, 1954 in Hester, Oklahoma. Jim had a variety of jobs during his life; some of those include, an insurance agent, he also managed a lumber company, Jim also worked with the City of Mangum, and was a locksmith. He was a long-time member of the First Baptist Church of Mangum. Jim loved to work on vehicles with his son Mark. He was also known to have the coffee ready at Hamburger Inn every morning for his coffee drinking group. Jim also enjoyed going dancing with his wife Mona at the VFW. He enjoyed eating ice cream with Reilly and playing with his baby Rowdy. Jim is preceded in death by his parents; daughter, Paula Sue Chapman, and brother, Glen Chapman. Jim is survived by his wife of sixty-four years, Ramona Sue Chapman; son, Mark Chapman and Jaclyn Callen. Sisters, Patty Bratton and husband Bobby, Betty Goode; Grandchildren, Karla Blayne and Trevor Nealis; Great Grandchildren, Sharli Blain, Reilly Beaver and Ethan Keochanthanivong. The family will receive friends at visitation Tuesday evening, February 12, 2019 from 5:00 pm until 7:00 pm at Greer Funeral Home in Mangum, Oklahoma. Funeral services will at 2:00 pm, Wednesday, February 13, 2019 at the First Baptist Church in Mangum, Oklahoma with interment following at Roselawn Cemetery in Mangum. Funeral arrangements are under the direction of Greer Funeral Home of Mangum, Oklahoma. To send flowers or a remembrance gift to the family of Jimmie M. Chapman, please visit our Tribute Store. "Email Address" would like to share the life celebration of Jimmie M. Chapman. Click on the "link" to go to share a favorite memory or leave a condolence message for the family.